Lonnie Bunch III, the founding director of the Smithsonian’s National Museum of African American History and Culture will be honored at the NAACP Image Awards. The NAACP announced today that historian, author, curator and educator, Lonnie G. Bunch, III will be presented with the NAACP “President’s Award” at the 48th NAACP Image Awards telecast LIVE from 9-11 p.m. ET on February 11 on TV One. The NAACP “President’s Award,” chosen by NAACP President and CEO Cornell William Brooks, is bestowed in recognition of special achievement and distinguished public service. Past honorees include John Legend, Van Jones, President Bill Clinton, Soledad O’Brien, Ruby Dee, Muhammad Ali, the Founding Members of the Black Stuntmen’s Association, Kerry Washington, and Spike Lee. 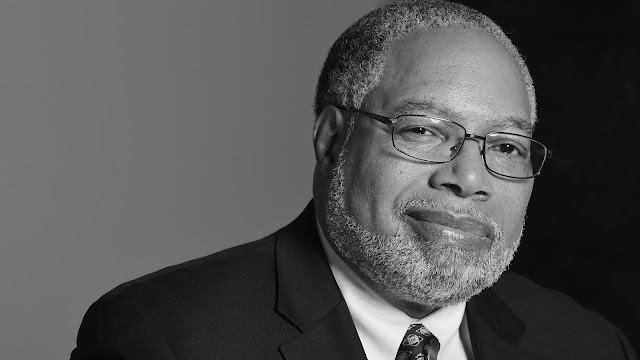 “Historian, scholar and author Lonnie G. Bunch III, has secured among the sacred places of the American story, a place of honor for the contributions of African Americans to our nation’s history. As the founding director of the Smithsonian’s National Museum of African American History and Culture (NMAAHC), he has helped to amplify stories of our struggles and striving to wrest the shackles of oppression from both body and mind in our undeniable quest to be free,” said Cornell William Brooks, President and CEO, NAACP. Lonnie G. Bunch, III is the founding director of the Smithsonian’s National Museum of African American History and Culture. In this position he is working to set the museum’s mission, coordinate its fundraising and membership campaigns, develop its collections, and establish cultural partnerships. He is designing a high-profile program of traveling exhibitions and public events ranging from panel discussions and seminars to oral history and collecting workshops. Bunch has held several positions at the Smithsonian. As the National Museum of American History’s (NMAH) Associate Director for Curatorial Affairs (1994-2000), he oversaw the curatorial and collections management staff of nearly 200. In addition to leading the curatorial team that developed the major permanent exhibition “American Presidency: A Glorious Burden,” he served as co-author of the exhibition’s companion book by the same name. While assistant director for curatorial affairs at NMAH (1992-1994), Bunch developed “Smithsonian’s America,” an exhibition that explored the history, culture and diversity of the United States; it was shown in Tokyo, Japan as part of the “American Festival Japan ’94. He also supervised the planning and implementation of the museum’s research and collection agendas. As a supervising curator at NMAH (1989-1992), he oversaw several of the museum’s divisions, including Community Life and Political History. From 1978 to 1979, Bunch was an education specialist and historian at the Smithsonian’s National Air and Space Museum, where he developed multi-cultural instructional programs and researched and wrote the history of African Americans in aviation. Bunch served as the curator of history for the California Afro-American Museum in Los Angeles from 1983 to 1989. There he organized several award-winning exhibitions including “The Black Olympians, 1904-1950” and “Black Angelenos: The Afro-American in Los Angeles, 1850-1950.” Committed to making history accessible, he also produced several historical documentaries for public television. A prolific and widely published author, Bunch has written on topics ranging from slavery, the black military experience, the American presidency and all black towns in the American west to diversity in museum management and the impact of funding and politics on American museums. In 2010, he published the award-winning book “Call the Lost Dream Back: Essays on Race, History and Museums.” “Slave Culture: A Documentary Collection of the Slave Narratives” was published in 2014 and in 2015 he published “Memories of the Enslaved: Voices from the Slave Narratives.” In 2016, Bunch co-authored “From No Return: the 221-Year Journey of the Slave Ship Sao Jose.” Lectures and presentations to museum professionals and scholars have taken him to major cities in the United States and to many nations abroad including Australia, China, England, Italy, Japan, Scotland, South Africa, Sweden, Ghana, Senegal and Cuba. Since 2008, Bunch has served as the series co-editor of the “New Public Scholarship Edition” of the University of Michigan Press. During the inaugurations of President Barack Obama, Bunch served as an on-camera commentator for ABC News. In service to the historical and cultural community, Bunch has served on the advisory boards of the American Association of Museums, the African American Association of Museums, the American Association of State and Local History, and the ICOM-US. Among his many awards, he was appointed by President George W. Bush to the Commission for the Preservation of the White House in 2002 and reappointed by President Barack Obama in 2009. In 2005, Bunch was named one of the 100 most influential museum professionals in the 20th century by the American Association of Museums and in 2009, Ebony Magazine named him one of its 150 most influential African Americans. Again, in 2016 he was chosen as one of the 100 most significant African Americans by Ebony Magazine. In 2011, BET (Black Entertainment Television) selected Bunch to receive its BET Honors for outstanding service to American education. In 2014, BET selected Bunch as one of its ICON Men for his work mentoring young African American men. In recent years, Bunch has been honored with: Visionary History Award, DC Historical Society (2016), Rainbow Push Torchbearer Award (2016), Delta Sigma Theta Remembering Our Heritage Award (2016), and National Newspaper Publishers Association Torch Award (2016). In 2016, Bunch was listed as #1 in the Washington Business Journal’s Power 100 ratings and in Vanity Fair’s Hall of Fame. For additional information and the latest news, please visit the official NAACP Image Awards website at http://www.naacpimageawards.net.